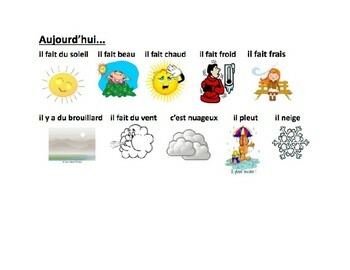 Add this detailed French weather poster to your classroom for reference or use as a resource to teach "Quel temps fait-il?" and promote discussion in French about the weather. A simple daily activity that gets students speaking en français!